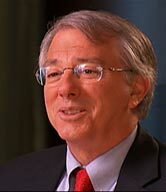 July 24, 2006: Ambassador Dennis Ross, former U.S. Envoy to the Middle East peace process, and Director of the Washington Institute for Near East Policy, discusses the role of women in Muslim societies, Moroccan politics, and democracy and U.S. foreign policy in the Arab world with Anchor, Daljit Dhaliwal. 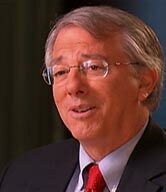 DALJIT DHALIWAL: Ambassador Dennis Ross, welcome to WIDE ANGLE. AMBASSADOR ROSS: It is really nice to be with you. DALJIT DHALIWAL: So what did you make of what we just saw in that film? AMBASSADOR ROSS: I was really struck by what I think is a very significant approach to recognizing that women have a role to play in all aspects of life, including how to interpret the faith. You certainly do not hear that normally when you go throughout the region. You see women acted upon and frequently subjects. You do not see those women who are active in terms of trying to promote women’s rights, you do not see them emphasizing the role in terms of religion, the role in terms of Islam, or the role they have as teachers. So, I was really struck by it. I find it hopeful. DALJIT DHALIWAL: Why do you think the king has picked women to be part of this reform process? Why 50 morshidat, females, rather than 50 more male imams? AMBASSADOR ROSS: I think it is a very interesting issue to raise. And it is one that separates Morocco from almost every other place in the region. There are other countries that are undergoing reform. There is no question about that. And many understand that if you are really going to make a difference, women’s rights are an important part of change. But, I think what the king has done in Morocco is to decide fundamentally that if you are going to change Islam and reform society, unless you deal with the role of women, then you haven’t touched anything that is really at the core of the social makeup and the fabric of these societies. So he’s decided this is going to be a thorough approach to reform, and if you build it around women’s rights, then you can count on real change. DALJIT DHALIWAL: Do you think that women bring something unique or special to the table in terms of the democracy process? AMBASSADOR ROSS: They do from one standpoint at least: passion. They bring an unbelievable sense of commitment. Now, maybe it is not surprising because they had been fighting an uphill battle all along. And they understand that if they are passive, or understanding, or acquiescent, or they try to be too reasonable, that they get nowhere. What I have found in speaking to women throughout the region who are active in the cause of women’s rights is an unmistakable determination — they are not prepared to sit back and accept no for an answer, they are not prepared to simply accept that things have to be the way they have always been — they bring enthusiasm and passion. DALJIT DHALIWAL: Are they always a moderating influence in the region, from your own personal experience? AMBASSADOR ROSS: On the whole, yes. But there are exceptions in every case. I wouldn’t say that you can state categorically that they will always be on the forefront of what I would call progressive, moderate, social, democratic, peaceful purposes. But as a rule of thumb, I would actually put a real premium on promoting the women who are more active. Look, I am someone who committed a major part of his life to pursuing Arab/Israeli peace. And the one thing I can tell you, if you approach that with a kind of dispassionate passion, you give up. You face problems that are so daunting, you face setbacks all the time. And the obstacles are disheartening. And because of that, if you do not bring passion to it, you do not stick with it. DALJIT DHALIWAL: You met with Morocco’s king when you were chief Middle East peace negotiator. Does he strike you as somebody who is a pacesetter for the rest of the Arab Muslim world? AMBASSADOR ROSS: You know, it is interesting. I met him within the year after he assumed the throne, in 2000. It was maybe nine months after he had become the king. When you are succeeding someone who has been almost an icon within Morocco, to follow on the heels of someone like his father who had been the leader for so long is not easy in the first year or so — and to be striking a pose where you are moving out in all sorts of new directions. At that time, I think he was getting his bearings more than anything else. If you had asked me at that time do I expect him to be a trendsetter, I doubt that I would have said I foresee that. I will say this. I was struck by one thing at the time more than anything else in my meeting with him. He asked very good questions. He asked thoughtful questions. He wasn’t looking for sound-bite answers. He was looking to try to understand what was the real situation. DALJIT DHALIWAL: Were these questions about Morocco, or were they questions about the Israeli/Palestinian peace process? What was he asking you? AMBASSADOR ROSS: They were much more about the Israeli/Palestinian peace process and they weren’t even geared so much to what I was looking for him to do. I was there at the time to see Yasser Arafat, privately. DALJIT DHALIWAL: This is around the time of the second intifada, right? DALJIT DHALIWAL: Let me ask you, why is Morocco held up to this shining light? Why do you and the administration applaud its reform? What is it about Morocco? AMBASSADOR ROSS: I think for one thing, it is the emphasis on women’s rights, which is really quite striking and out front of anybody else in the region. If you are really thinking about competing with the radical Islamists, the one issue on which you create an unmistakable difference, the one issue on which they, in a sense want to turn the clock back more than any other, is in the area of women’s rights. So, if you are talking about promoting women’s rights, if you are dealing with the questions of battered women, if you are really pushing that on the agenda, then in fact it is going to lead a larger approach towards trying to reform Islam in a way that basically creates the right kind of competition with the radical Islamists. DALJIT DHALIWAL: We are talking about a monarch who banned certain political parties. Are we okay with that? AMBASSADOR ROSS: What you are going to do when you look at the issue of reform, is commit to a direction. Now, are you going to agree with everything that the king or someone else does in a different country? No, you are not. But when you see someone cross a historic threshold with regard to women’s rights, when you see a king respond to terrorist bombings such as the ones in Casablanca in 2003 not only by taking security steps, but by moving on the political front in such a way as to create greater inclusiveness, the fact is there may be certain political restrictions that we should talk to him about. But he has crossed a threshold which is, in a sense, very emblematic of being committed to change. DALJIT DHALIWAL: What kind of political restrictions would you like to talk to him about? AMBASSADOR ROSS: The liberalization of political participation and their liberalization of inclusion. I do not challenge so much the approach to security, but I think you have to focus not only on the political side of this, but also on the economic side of it. How do you make the government more effective in terms of delivery of services? How do you ensure there is more good governance? How do you root out signs of corruption? It is important to move in all those areas. Because corruption is what the radical Islamists exploit. DALJIT DHALIWAL: How does a moderate Muslim country like Morocco spawn so many jihadists? AMBASSADOR ROSS: In your film you talked about the shantytowns where the bombers who were behind the Casablanca bombings in 2003 came from. If you have a lot of wealth and next to it you have shantytowns, and you have radical Islamists reflecting the Wahhabi or intolerant view of Islam, the austere view of Islam, a world where there are enemies versus the believers, and where the believers have a duty to go after the enemies, that is a very combustible mix. And that is what Morocco had. The influx of mosques that were basically Wahhabi-financed, Wahhabi-run, were the socialization of those sets of attitudes in an environment where there are people who are basically bereft at a time when the sense of being left out or excluded is strong. If you create that kind of a socialization process, you are going to produce jihadists. You have a fertile breeding ground. And so, that is why you saw so many people from Morocco in Europe playing a role in the Madrid bombings. They are close by Europe, close to Spain. There is a kind of natural connection. A lot of people go from Morocco to seek jobs in Europe. And then they get there. And they are part of an underclass. And they are isolated. And they are excluded. And it tends to spawn a deep sense of alienation, but an even deeper sense of an identity which I describe as a jihadi identity. DALJIT DHALIWAL: And how serious a problem is Islamic fundamentalism and terrorism in Morocco? AMBASSADOR ROSS: I think before the Casablanca bombings in 2003, it wasn’t that clear. After 2003, it became very clear. And that is one of the reasons I think that the king launched what is a dual program. One was a pretty serious crackdown from a security standpoint. But the other was a real liberalization process as well, understanding you are not going to solve the problem of jihadis only through a crackdown. I mean, how do you crack down on the circumstances without an outlet, without a sense of possibility? There was one line in the film that really resonates with me. Because I’ve seen it everywhere. Where there is no hope, where there is an absence of hope and where people feel they are simply left out, and there is no possibility to change their life, that is in fact a very fertile breeding ground for producing more of the jihadis. Where you begin to create a sense of possibility, where you begin to create a sense of hope, then you transform the situation. DALJIT DHALIWAL: President Bush has made democracy promotion in the Middle East the centerpiece of his agenda. How is it going? AMBASSADOR ROSS: I wish it were going better. You know, part of the problem is that everything was built around Iraq, and wanting to create democracy. DALJIT DHALIWAL: And how is that going? AMBASSADOR ROSS: Well, let’s just say that it is not going very well in terms of creating a society that looks promising. Are there people in Iraq who are committed to trying to create a new Iraq? There absolutely are. But you have sectarian differences that are still incredibly formidable. You have, I would say, an adjustment intellectually but not yet emotionally, between Sunnis and Shia. The levels of distrust are really profound. Sunnis still believe they are going to be excluded in the society. Shia still believe that the Sunnis drive the insurgency and therefore they need militias to protect them from the Sunni insurgents. They see Sunnis as acquiescent in the insurgency and not adjusting to the reality of Shia power in Shia numbers, and Shia having the right to assume the leading role in the country. So, you have a very long way to go before you are going to create democracy. Now, the problem is in the rest of the region. If democracy was supposed to be given a kind of flowering within Iraq, and if Iraq was supposed to be the symbol of its success, in the rest of the region, what do they see? Well, they see enormous violence. And they see Shia dominance. DALJIT DHALIWAL: And why would they want any democracy in Egypt or in Algeria or in Saudi Arabia, right? AMBASSADOR ROSS: Well, when they look at that, they say, “If that is the picture of democracy, no thank you.” So, I think in a sense you have to focus on democracy building on a case-by-case, country-by-country basis. What Morocco needs is very different from what Bahrain needs. And Morocco’s very different from Saudi Arabia. On the one hand, you have a lot of countries in the region, and a lot of leaderships in the region, who realize you have to move in that direction. DALJIT DHALIWAL: Give me some examples. AMBASSADOR ROSS: Well, Jordan has launched what I consider to be a very serious reform program. It is not just economic in character; it is political in character as well. Also, if you talk to security people in Jordan, they will say, “Our answer to the Islamist threat has to be a political/economic answer.” It cannot only be a security answer. And that is quite enlightened I believe. And they are not alone. You see what’s going on in Morocco. You see in Kuwait that women had the right to vote and even run as candidates. You are seeing it in Qatar as well. So there is something that is important that is emerging. And it creates a need for all leaderships to somehow at least pay lip service to it. When you are forced to at least address the issue, it suggests that something is changing for the better. That is part of the mixed picture. Now I would also say some of the elections that have been pushed. Again, what it highlights for me is you have to have a pretty thoughtful approach to this process. Hamas did well in the elections. Hezbollah did well in elections. The Muslim Brotherhood did well in the elections. Because in a strange way, they looked at the elections and said, “This is a great vehicle for us. We have organization at the grassroots. The regimes do not. And there are third ways. There are alternatives to the regimes and to us.” And so they looked at the elections as being an opportunity, a vehicle to achieve what they want, which is Islamic Faith. They want to use the means of democracy not necessarily to produce democracy. DALJIT DHALIWAL: But are you okay with that? AMBASSADOR ROSS: I do not think we should be. That is why I say, I believe you have to have certain criteria for elections. That is also why I say do not push elections as a first step in the process. I would like to see any American administration approach this in the following way. Number one, disaggregate. Do not look at the region as a whole. Policy should be on a country-by-country basis. Number two, develop country by country, a strategic dialogue with the leading reformers in the country. Listen to them in terms of how to frame what it is we say. DALJIT DHALIWAL: But why would they want to listen to us when we have this huge credibility problem on the Arab street? How do we get around that? AMBASSADOR ROSS: One of the ways you get around is by having a strategic dialogue where we listen to them in terms of how we frame our message. They know what is likely to resonate in their countries far better than we do. The second thing is, they still need our help. They still need help from the outside. They still need financing. They still need funding. And one of the things you want to do is talk to them about what are practical programs so they can begin to deliver services. I’ve talked about wanting to create a secular dialogue to compete with what the Islamicists do. They use the “dawa” to provide services. It doesn’t detract from the purpose of jihad. They use the dawa to help recruit the people who will become jihadists. But what we have to do is we have to show that reformers deliver too. In fact, we have to show that reformers actually deliver something positive. And it can’t just be words. They have to begin to deliver services. DALJIT DHALIWAL: What is a dawa? AMBASSADOR ROSS: The dawa, basically, is a social construct. It is the provision of social services. It is provision of a social safety net. Hezbollah and Hamas has basically built a following by the dawa. They create a social organization, but they created all sorts of after school programs. In the case of Hezbollah, dealing with most of the Shia in southern Lebanon they were largely disenfranchised and certainly impoverished. They built the hospitals, they built the schools, they built the roads. So it was all part of a social construct for Hezbollah and for Hamas. Jihad, meaning struggle, was part of their obvious ethos. But the dawa was also how they built a following and identity within. DALJIT DHALIWAL: Isn’t it also the radical Islamists who provide services, which helped Hamas win the election in the Palestinian territories, for instance? How do we get around an issue like that? AMBASSADOR ROSS: I think one of the ways you get around it is, you begin to focus on how to help reforming governments deliver. How do you get them more riveted on being able to address real needs of people at the grassroots level? There is plenty of discussion of reform in the abstract, but there is not enough focus on how you organize to deliver services. I would like to see an overhaul of our assistance program so that it is also informed by a political agenda. DALJIT DHALIWAL: So, the aid would come with political strings attached? AMBASSADOR ROSS: Yes, for me it would. Because it should be targeted in a way that is designed to promote good governance. DALJIT DHALIWAL: Is the administration not doing that? AMBASSADOR ROSS: I think on the one hand, to be fair to the administration, the administration has developed things like the Millennium Challenge Account, which very much does focus on the issue of providing assistance based on good governance, anti-corruption, development of rule of law. They have in the Democracy Partnership, as well, in the Middle East. They have been geared towards trying to target assistance more for the kinds of programs that I think would be useful. The problem has been hard to qualify for the Millennium Challenge Account, and it really does not apply to the Middle East. And in the Middle East Democracy Partnership program, the scale of the program is so small as not to have the kind of effect that it might. You know, when you make policy, the world is never a world where you have perfect choices. The world is one where you have hard choices, some of which are not so easy to make. With the case of a country like Egypt, for instance, there is a desire on the one hand to look at stability and not destabilize a country that seems to be very important to us in a lot of different fronts. And at the same time, how do you ensure that you are not contributing to such a pent-up process of deep frustration that at some point, bursts out and you do not have evolutionary change, you have revolutionary change? So, I think the administration has tried to walk a line here. But I would also say here that it is a question of priorities. When you are promoting democracy, should your first priority be to push election? Especially when the only choice is a choice between a regime that is seen as corrupt by most of the public, where most of the public is alienated from the regime, versus the Islamicists who are not corrupt, who come to embody in the eyes of many, a kind of social justice, and who actually do deliver services? If those are the only two choices, guess who wins in that situation? That is one of the reasons that Hamas won. It is one of the reasons that the Muslim Brotherhood in Egypt did very well in all the races they ran in. They won 70 percent of the races they ran in. DALJIT DHALIWAL: Do we have to accept a Hamas victory and any others like it? AMBASSADOR ROSS: We favor free and fair elections, obviously. But my own view is that I wouldn’t push them as the first item of democracy building, because I think you want to create conditions. You want to ensure that there are more than two choices out there. You want to create bases in which you are more likely to have democracy emerge over time. It is a process. It is democratization. It is not something that is like a light switch where you hit the flip and suddenly you have democracy. You built it over time. Now, in the case of Hamas, there were several things I would have done differently, but not the least of which would have been to say Palestinians have a right to choose whomever they want. That is their right. That is their privilege, and they should do so. They should understand clearly that from a United States perspective, we will not deal with people who are elected to reject the idea of people and who believe in the idea of violence. So, we interpret the Hamas agenda as one of the rejection of peace, promotion of violence, and you need to know we will not deal with them. You are free to choose whom you want. You do not assume that we give up our rights just because you have an election. DALJIT DHALIWAL: So, is democratization in the Middle East, President Bush’s version of it at least, inherently flawed? Is that what you are saying? Or does it need to be redefined? AMBASSADOR ROSS: Well, I think that it would be good to redefine it a number of ways. Number one, I would say elections should not be the first step in the process. They should be in the process, but not the first step. Number two, when they have elections, there should be some criteria for who runs. Militias should not be allowed to run as political parties and still be militia. It is ballots or bullets. It is not both. If they want to make the choice and become political actors, that is fine. But then make the choice. As long as you hold all your guns, you haven’t made that choice. That is part of the problem with Hezbollah running as a political party and part of the problem with Hamas running as a political party. They haven’t made the adjustment into being political actors, because they still want to be militias. So, the second item is some criteria that would be respected internationally. It does not have to be shaped by the United States. They would be agreed, I think, internationally as some of the natural conditions for creating democracy. DALJIT DHALIWAL: But reformers in the region are going to say you cannot exclude these parties. Because they have solid membership. In fact, sometimes their membership is larger than the secular parties. AMBASSADOR ROSS: One of the things the world can do is make it clear that when elections are going to be held, the rest of the world looks at those elections as being significant if those who run in them meet certain criteria that would be the case anywhere. In Europe, there are conditions for who can run. And yet, you wouldn’t say those countries are not democracies. They are. So, all I am suggesting is you use the same criteria that you’d use elsewhere for the kind of people who really are committed to democracy and the kind of people who, at the same time, are prepared to make a choice between being political actors and military actors. DALJIT DHALIWAL: Can democracy promotion in the Muslim Arab world prevent terrorism? Where’s the evidence that that is going to happen? AMBASSADOR ROSS: I do not know that one can say that democracy is a perfect antidote. You can’t say that. But what you can say is frustration and hopelessness and exclusion and corruption and the absence of the rule of law are all, in fact, ingredients that help to produce the appeal of the jihadis. The sense of grievance, the sense that somebody has an answer to this sense of grievance, the sense that the jihadis do what they basically are offering is the following. They offer an explanation for your predicament. And they offer a prescription for how to get well. It is very simple. But unfortunately, their prescription never produces wellness for anyone. One of the things you have to do is you have to deal with sources of grievance and sources of anger that create a basis on which the radical Islamists recruit. We learned something on 9/11. What you are going to have to ultimately win, is what is a war with radical Islam. It has never been a war on terror. Terror’s an instrument, it is not an ideology. It is employed by the radical Islamists. To win the war with the radical Islamists we cannot defeat them. We can defeat in terms of those who use violence. Those who use violence, you have got to use violence against them. There is no alternative. But to win that war you have to discredit them. And we cannot discredit them. They have to be discredited from within. The moderate Muslims in the Islamic world have to take them on. They have to discredit them. DALJIT DHALIWAL: Are they strong enough to do that? AMBASSADOR ROSS: The fact is that they will become weaker if they do not take them on. Our role, our responsibility is to focus on how we help them. That is one of the reasons I say create strategic dialogues everywhere. Because you want to focus on policies and programs, both, that can help empower those who believe, in the end, in a moderate form of Islam. Not as a favor to us. Because it is their own salvation. Self interest has to be the main motivator. No one’s going to do it because we want them to do it. DALJIT DHALIWAL: Is it also a prescription for reducing anti-Americanism in the region? AMBASSADOR ROSS: For the jihadists, actually, it is a prescription for producing anti-Americanism. I am talking about creating a sense of inclusion, a sense of possibility, giving people a pathway to think that there is a future in their life that is sufficiently hopeful that they want to follow that path. Now, the more they do that, the more they are going to want a normal life. You know, President Clinton gave a speech when signing the Declaration of Principles at the White House in 1993. The most telling part of President Clinton’s speech was talking about peace and wanting to give Israelis and Palestinians the quiet miracle of a normal life. Now, truth be told, almost everybody that I meet when I go to the Middle East wherever I am, what do they want more than anything else? They want a normal life. And they want the possibility of a better life for their kids. DALJIT DHALIWAL: But when you travel in the region, what do people tell you about why we have such a huge credibility problem? Is it not to do with U.S. policy in that region? AMBASSADOR ROSS: I would say absolutely it has to do with U.S. policy. Look, there is a perception of us as being imposers, arrogant, indifferent to the needs of people in the region. There is a perception that somehow the U.S. wants to impose on Islam. There is a perception that basically we are launching a war. DALJIT DHALIWAL: In some parts of the Arab Muslim world, it seems to be more than a perception. When it comes to the Israel/Palestinian peace process, for instance, Palestinians, Muslims, Arabs in the region do not consider the United States to be an honest broker in that process. You were a broker in that process. AMBASSADOR ROSS: You know, the interesting thing is that they do not want an honest broker in the process. They want someone who will back their side. I’ve said this in Gaza. I gave a speech in Gaza last year. And when I was listening to people say America can’t be an honest broker, and I said you know what? You do not want an honest broker. But what you do want is an effective broker. We are seen as being very strong supporters of the Israelis, and in a way that many in the region would say is unfair. The U.S. is always going to have a special relationship with Israel. But the reality is there is a difference between the Clinton administration and this Bush administration. The perception, at the time, was that at least they care about the issue. One of the failings of the Bush administration was to send a message that they didn’t care about the issue. The Palestinian issue may not be, in fact, embraced in a serious way by Arab leaders. They’ll talk about it. They do not do much about it. But as an issue, where there is a sense of deep injustice, it pervades the Arab world. It pervades much of the Islamic world. And one of the mistakes the Bush administration made was sending a signal that they were indifferent to it. Something that is so fundamental to most of those who are on the “Arab street” appeared to be something that didn’t matter to the Bush administration. Under Clinton, however, they saw what was an inexhaustible, seemingly inexhaustible, effort. I can tell you, everywhere I went in the region people would come up to me, and thank me. It didn’t mean they always agreed with everything I was doing, or always agreed with what President Clinton was doing, but they said they care about it. They care about the issue. DALJIT DHALIWAL: The Arab Muslim leaders and Palestinians were thanking you? AMBASSADOR ROSS: Yes. Absolutely. Since that, I have to tell you, they say they miss us. The point is not that somehow we’ve changed, the point is what they saw was a commitment. They saw a passion. They saw determination. They saw an effort. So what they saw was something, even if they didn’t always agree with what we were doing, even if they felt that we were too supportive of the Israelis, nonetheless they said, “At least they care about the issue.” One thing you have to do, if there is an issue that creates such a basic sense of grievance throughout this part of the world, is show it matters to you. You can disagree. You know, there is nothing wrong with us having a different approach to policy than their view of policy. And the irony is that they will accept a lot of that, as long as they see at least we care about things that also matter to them. We are not going to agree on everything. And our having to agree with them should not be the measure of what we do. What we do should be governed by what we think is right. DALJIT DHALIWAL: Where is the peace process now? What happened to the roadmap? AMBASSADOR ROSS: Well, the peace process basically doesn’t exist. There hasn’t been a peace process, in truth, since 2001. Peace process means you are working on an active dialogue. And in fact, you are using words as the medium of exchange, not violence as a medium of exchange. Now the fact is the roadmap itself was never serious. The roadmap was basically a set of rhetorical guideposts. DALJIT DHALIWAL: What do you mean it wasn’t serious? AMBASSADOR ROSS: It wasn’t serious because it was negotiated with the EU, the Russians and the UN. It wasn’t negotiated with the Israelis and the Palestinians. They are the ones who had the obligations in the roadmap. Because it wasn’t negotiated with them, every single obligation in the roadmap is interpreted by the two sides in completely different ways. You ask the Palestinians about what the Israelis are supposed to do in terms of freezing all settlement activity, they’ll give you a very broad definition. If you ask the Israelis they’ll give you a minimalist definition. The fact of the matter is there was never any effort made to work out what each obligation was so there would be a common understanding of what it meant. There was never even an effort made to establish what we at least publicly saw as the criteria for fulfilling each of the obligations. DALJIT DHALIWAL: It sounds like a bit of a travesty. AMBASSADOR ROSS: It was more a rhetorical set of guideposts. It was not an operational plan. There wasn’t the investment in it. DALJIT DHALIWAL: Now you are out of government, if you had a blank slate how would you begin to redefine US policy in the Middle East? AMBASSADOR ROSS: I think first things first, I would have to deal with what are the major problems. You cannot just pretend Iraq doesn’t exist. Iraq has a major effect on where we are. My approach to Iraq right now would be two-fold. Number one, I would talk to the new Iraqi government, which after all is the first elected government. It is also one a four-year term. I would talk to them and basically say, “Let’s talk about a time table for the American withdrawal. We are not going to leave you in a lurch. But, at the same time, you will have to assume responsibility. So let’s negotiate between the two of us on what would be an appropriate time period for our having a presence here in terms of a military force.” Number two, I would also talk to them about creating a national reconciliation conference. There you would bring everybody together, representing all the groups, and not let that conference disband until they had reached an agreement on the amendments to the constitution. Sunnis ran the election last December precisely because they had an expectation not just that they were going to be in the government, they had an expectation that there would be amendments to the constitutions in areas that were particularly troublesome to them — like revenue sharing, like the right of provinces to succeed, like the role of Islam. Now that hasn’t happened yet. Sunnis have to understand where they are going to be in the country, and that is why the constitution is so important. They have to understand what the relation is going to be. It would also be good for Shia. Because they too will then see whether the Sunnis are buying onto this or not buying into it. As long as their militias are a focal point, as long as you do not have a national compact that is a reflection of this national reconciliation conference, you are going to find it very difficult to change the reality on the ground there. So those two steps would be where I would start in terms of Iraq. DALJIT DHALIWAL: And how would you fill your blank slate beyond Iraq? AMBASSADOR ROSS: Well obviously I would work on the Israeli/Palestinian, Israeli/Arab issue. Because the fact is when the US disengages from this problem, it is pretty clear it gets a lot worse. You know our engagement is not the panacea. Our engagement does not guarantee great results. But disengagement has proven itself to be a real failure. The world gets much worse in terms of even the possibility of peace. You look at where we were in the year 2000. We thought we could settle the conflict; turns out we couldn’t. But we were in a world where people talk to each other. When they are talking to each other, they are much less likely to be shooting each other. Now we cannot even talk about peace as a possibility. Now our first focus has to be how do we even create a basis in which to stop enduring conflicts? Once we do that, once we create cease fires, can we build from there? Our fundamental focus right now I think has to be with Palestinians — especially given the problem with Hamas. How do you get the Palestinian Authority to be able to function in a way that isn’t dependent on a Hamas program that isolates Palestinians from the world? If Hamas is not prepared to change, then Hamas has to fail. So you have to build up alternatives to Hamas. And you look to try to promote those who believe in peace and reconciliation. Then you are going to move in a more favorable direction. DALJIT DHALIWAL: What kind of changes should the Israelis make? AMBASSADOR ROSS: What is interesting is Israel withdrew from Lebanon. And what they got for that was, a few years later now, rocket attacks. They withdrew from Gaza, they got the same thing. There is an important narrative in the Arab world that says, “Violence is a function of occupation.” Now here’s two places where the Israelis ended occupation, but it did not stop violence. So I think one of the things the Israelis have to do is also understand there are not going to be unilateral approaches that can work. I am not against the Israelis trying to figure out how to withdraw. But I would like the Israelis to adopt a position at a couple different levels. Number one, if a conflict withdrawal, then let’s approach it from the standpoint of reciprocal obligations. Even if you feel you cannot produce peace right now, let us least create parallel, unilateral steps. So that it is not just one step on one side. The other thing is the Israelis have to find a way to try to reconcile what are their security needs, with the Palestinian ability to breath. They have to be able to breathe economically. If they can’t breathe economically, it ends up being bad for Palestinians, but also bad for Israelis. DALJIT DHALIWAL: And is the wall separation the solution as far as Israel is concerned? AMBASSADOR ROSS: I think the barrier in many ways is a passive response to terror. If we had our next-door neighbors launching attacks from us with impunity. And nothing was being done by the local authority. We would do a lot more than just build a barrier. The barrier may be part of an answer. But the reality is the barrier also cannot create a total cutoff; a total isolation economically. Because if the economic circumstances remain catastrophic on the Palestinian side, it is going to have political consequences. DALJIT DHALIWAL: Many people say that U.S.-Muslim relations will never get better until the question of Israel and the Palestinians is resolved. Is that also your view? AMBASSADOR ROSS: It is my view that you have to be actively involved. Partly because of this whole point about something that is so fundamental to the area you have to show you care about it. You do not have to necessarily be in agreement, but you have to show you care about it. The real issue here is how radical Islamists, who actually do not care about the Palestinians, are not interested in peace. 9/11 took place and was planned at a time when most of the people in the Middle East thought we were going to reach peace. In the year 2000, most of the people in the region thought we were going to be successful. And that was the very moment that 9/11 was being planned. It was being planned precisely because they thought we were going to make peace. Not because they didn’t think we were going to make peace. So the issue here is how do you take a recruiting tool away from the radical Islamists. They need anger, they need grievance. And this is one of the sources of anger, it is not the only source of anger. Regimes that are corrupt, that impose on publics, that is a source for anger. DALJIT DHALIWAL: Regimes that we are friendly with as well. AMBASSADOR ROSS: That has been part of it. When people talk about the American double standard in the region, part of it relates to our support for Israel. But part of it relates to our support for regimes that are seen as being oppressive. And part of it relates to our saying that we believe in democracy, but we are always perceived as using democracy as a tool against those we do not like. And never as a tool against those that we do like. One of the things we have to do is we have to stand by reformers, and they have to know it. The reformers have to know it, the regimes have to know it. You know, if a reformer is going to be arrested, that cannot be met with silence, or only with quiet diplomacy. DALJIT DHALIWAL: Is this administration listening to reformists? AMBASSADOR ROSS: I think from time to time, they have tried. But I think that the reality is that there is a perception in the area that there isn’t consistency there. You have got to be fair to the administration. They put democracy on the agenda. And the administration that I was a part of under Clinton didn’t. And we should have. But if you are going to put it on the agenda, it has to be more than a slogan. And democracy is not just about promoting elections. Democracy is understanding that you create the conditions for democracy. It is a process that you work. You work with the reformists to see how you can make them more effective. You work with reforming governments to see how you can make them more effective and more efficient in delivery. DALJIT DHALIWAL: Should the United States reach out and engage with Islamists given the strong popularity that they sometimes have in the region? AMBASSADOR ROSS: I am not a big fan of that. You know I want Islamists to also make it clear they are against violence. I do not think we should be engaging with those who believe in violence as a tool of policy. I’ll give you an example. The Muslim Brotherhood is very clear on being against violence in Egypt. But they are not against violence anywhere else. They have supported Hezbollah, they support Hamas, they support kidnapping. If you support violence as a tool of policy, then, from my standpoint, you are not a natural partner for the United States. Our natural partners are the reformers and the democrats with a small ‘d.’ We should be focused on how we enhance their position. We shouldn’t be trying to accommodate the people who actually do not believe in democracy, but will try to use elections as a tool to come to power for purposes that I would also see as probably being anti democratic. DALJIT DHALIWAL: But how are we helping reformers in Egypt, in Algeria, in Saudi, and in the other autocratic regimes? AMBASSADOR ROSS: I do not think we are helping them as much as we could. Now I would say one of the ways you do that is by striking up a real relationship with them on the one hand. Being very clear with the regimes that, in fact, you will stand by the reformers. And if they crack down on them, there is a price to be paid with us, and it will be a public price. Egypt is a friend of ours. Saudi Arabia is a friend of ours. None of these regimes want to be the focal point of a problem. DALJIT DHALIWAL: How fast should these autocratic regimes change? And if they change too fast, aren’t they in danger of sweeping Islamists into power? AMBASSADOR ROSS: I think the issue is one that can only be handled on a case-by-case basis. You have to see what the circumstances are in each country. You have to see what the public will bear in each country. You have to see what the reformers themselves embody. Most reformers will be the first to tell you what they can do and what they cannot do. “We are pushing too fast,” is a mistake from their standpoint. Also, it is not only us. When I talk about strategic dialogue, I would do it with the European. I would do it with the international financial institutions, like the World Bank, because they are all on the scene. They know, among reformers, who’s credible and who isn’t. Not everybody who claims to be a reformer, necessarily, is going to be credible or authentic. DALJIT DHALIWAL: What kind of external and internal pressure do you think is appropriate? AMBASSADOR ROSS: I think what is appropriate is mostly drawing certain limits. No surprises. With the governments that we have other strategic interests in, we are not interested in pushing them over the cliff. We are not interested in undermining their ability to do things that would also be of benefit. If we want to promote peace in the area, if we want to reduce the risk of violence in the area, we have friends, in fact, who share that interest. Now maybe they are not so keen on pushing towards democracy. But, with them, you are still going to have a discussion where you sort of outline the limits. Where you basically say, “if you crack down on reformers you know this is what we are going to do.” No surprises. I learned a long time ago that in negotiations, surprises are never a good idea. If you crack down on reformers, we will be public about condemning that. No surprises. The reformers need to know it too. They need to know, are we there for them or are we not there for them? No surprises. DALJIT DHALIWAL: Do you think that our interest in democracy promotion is waning as of late? AMBASSADOR ROSS: I think that it seems to be taking a backseat to other more pressing threats. That is what the appearance seems to be. DALJIT DHALIWAL: Pressing threats like what? AMBASSADOR ROSS: I think when you have enough instability in the area, suddenly you do not feel like pushing the Saudis too hard. Or you do not feel like pushing the Egyptians too hard. DALJIT DHALIWAL: But is that not the opportunity where it is really important to engage and to talk about democracy? AMBASSADOR ROSS: There is no question that the Bush administration is consumed with Iraq, and is very worried about the Iranian nuclear program. Both of those preoccupations are completely legitimate. And when you are looking for partners to contend with those two realities, it is also completely understandable that you have to take a “first things first” approach. But one of the things you have to do is also always maintain strategic perspective. Keep your eye on the strategic ball. So, on the one hand, you want to manage a relationship with those countries that can be important to you on big issues that effect war and peace and at the same time, have a mature relationship. DALJIT DHALIWAL: Do you think that democracy and Islam are compatible? AMBASSADOR ROSS: I do think democracy and Islam are compatible. Again, look at a lot of reformers. Look at your film. I think your program is a symbol of hope. It shows that, in fact, there are ways to open up these political realities, even if it relates to religion. And those who are interested in reform can reconcile reform and their religion, and show that their religion is consistent with the reform. 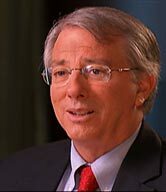 DALJIT DHALIWAL: Ambassador Dennis Ross, thank you very much for joining us on WIDE ANGLE. AMBASSADOR ROSS: It was a pleasure to be with you.